We can officially announce that we have once again sold out to “The Man,” particularly the RightStuf Man. This time we have a pretty full show of Jonn and Dustin reviewing RightStuf! Mobile Suit Gundam and Zeta Gundam Blu-ray Sets, Space Adventure Cobra DVD Set and the latest Bond movie Spectre. (0:00 – 52:08) The RightStuf! 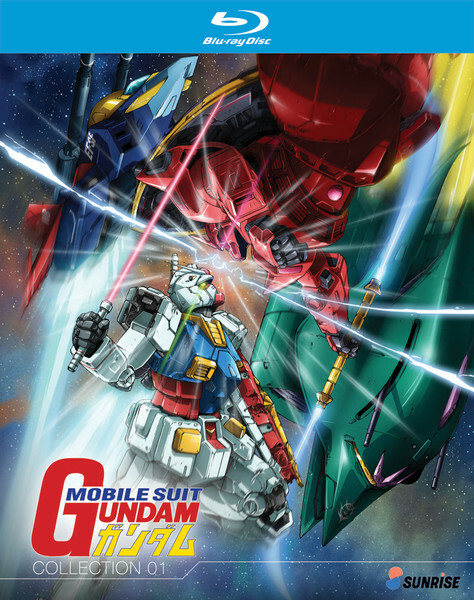 Product Review – Gundam Blu-Ray’s and Cobra DVD Set: After about taking a month for both hosts to get their products from RightStuf!, they can both talk about the special features and quality of the packages. Jonn and Dustin talk about mostly the 30th Anniversary interviews with the Gundam staff on the second blu-ray collection of Mobile Suit Gundam, which is just laughing at how old men can still hold grudges from a show that’s 37 years old now. Both host’s talk about the Buichi Terasawa interview from the Cobra DVD’s and its packaging, and our own review of that show will come out in due time. We also mention general Gundam talk, other mech shows, Terasawa and his Big Booty loves, SJW v. not-anime-yet, being praised in class for being a nerd, and more. (53:19 – 1:19:35) Movie Review – Spectre: Here we have an example of a review seen by one person who saw it the day it came out, and other who saw it the other day. The time gap is large enough to show that the former forgot most of the movie, leaving the latter to pick up the slack of events that happened. Long story short, both host made this review short and to the point, and talked about other James Bond related things. I mean, its been 3 years since both hosts talked about James Bond, so hopefully the next film comes a bit sooner. (1:19:35 – 2:14:40) Closing Remarks (a.k.a Dustin disses on Initial D haters): Like the usual formula, Chris Chan gets brought up to talk about how he self promotes people he doesn’t like without knowing it, which then leads to Dustin throwing down his Initial D street cred against Anime World Order review of Initial D, and tries to answer that why question the AWO hosts asked on their podcast. You could say Dustin cranks up his hypothetical Toyota AE86 for our 86th podcast, because that is how fate would have it! This of course leads to people we know on twitter who are having a hard time in life, former AIM and Toonzone drama, and more. OP2 – James Bond is Back!!! This could happen to the anime community… maybe? This entry was posted on 03/11/2016 by zeonicfreak. It was filed under Anime, Movies, Other, Reviews and was tagged with Anime World Order, Gundam, Initial D, James Bond, Mobile Suit Gundam, RightStuf, Space Adventure Cobra, Spectre, Zeta Gundam. Congratulations, guys. You finally made it with having a RightStuf sponsorship and everything. That’s cool. Now I just need to get back into reviewing things so I can scam my way into getting free stuff. haha. Dustin’s going to Anime Weekend Atlanta this year? Nice. I’d like to make plans to go as well though I haven’t really looked at hotels or anything yet. Yeah, I forget to comment sometimes but still listening regularly. Sorry to hear AWO pooped all over Initial D for you. Daryl seems to be the type that likes to be the party pooper, although I could be wrong. Yea you were our main commenter for a while, then it was like all of that dried up in the past year or so. I have to assume we still get listeners, so that still means something. Thanks for the congratulations. It was all based on a poor choice in December that I blame Jonn for letting me be by my lonesome and drinking, so you have to give him half the credit there. Yea, i’ve got a panel listed for “tentative” for right now, so well see how that goes. Once I know how that will be approved, I’ll say it on the podcast.